Sterling silver, Turquoise, Oyster Shell, Magenta Turquoise, and Opal. 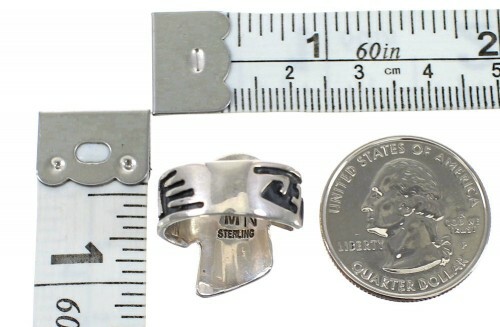 Ring is size 6-1/4, it measures approximately 3/4" long and 3/4" wide. What a dazzling ring! 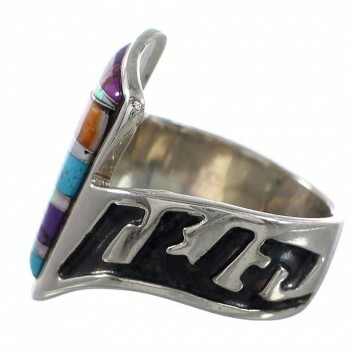 The ring is hand made out of sterling silver and Multicolor inlay. 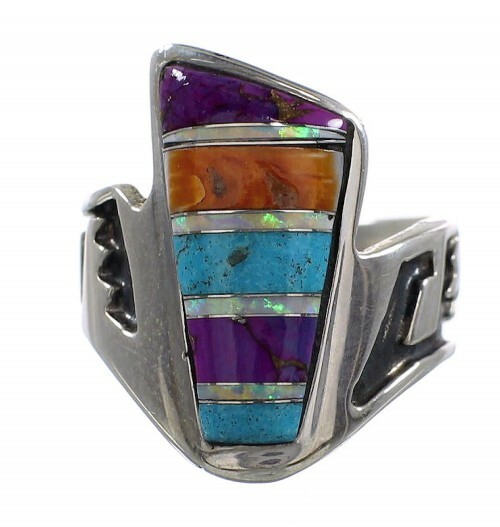 The inlay consists of: real Turquoise, Oyster Shell, Magenta Turquoise, and man made Opal. The inlay is carefully set, while forming a lovely design. 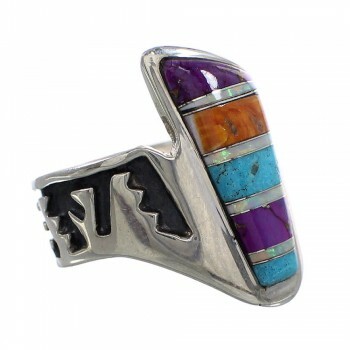 Stamped patterns can be seen on each side of the ring for a lovely finish. The ring is stamped sterling and hallmarked.